It’s the second time you saw him on this shift. Earlier in the day you found him unresponsive at a bar. After the usual dose of naloxone, he refused treatment and transport. He seemed alert and oriented enough to understand and sign the refusal form. You decide to leave a naloxone kit with the family and give them instructions on how to use it. Several hours later, you get the third call for the same patient. The family found him unresponsive when they woke up and checked on him at 7 am. They start CPR. You arrive and your attempts to resuscitate him are unsuccessful and he’s pronounced dead shortly after arrival to the emergency department. The only exception to requirements for informed consent is a life-or-death situation that requires immediate action—the caregiver acts on implied consent. In this instance, a person clearly under the influence of drugs is refusing care while family members are demanding care. You might be justified in waiting a few moments until the patient is asleep again so that you can treat him under the implied consent doctrine. This may seem cynical, but it’s not unprecedented. For example, in the case of psychiatric patients who can’t—or won’t—give consent to care, standard conditions such as accurate information, trust in the caregiver, and lack of coercion are (and for years have been considered) necessary but not sufficient conditions to assume implied consent. 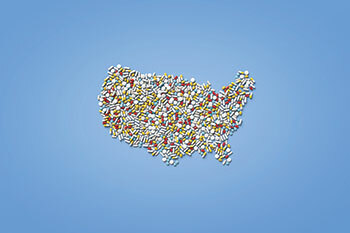 According to a new edition of the Hazelden Betty Ford Institute for Recovery Advocacy’s Emerging Drug Trends report, 37 states and the District of Columbia have laws that allow for the involuntary commitment of individuals with a substance use disorder, alcoholism, or both, contingent upon a presentation to the court of substantial and reliable evidence of potential harm. In most states, however, these laws are seldom used, and many families, providers, and local judges are unaware of the option. If a person addicted to opioids is serious about refusing treatment, he or she should get sober enough to execute a document refus­ing treatment if an overdose occurs, and then have it witnessed and notarized. The document should be kept on his or her person or put in a prominent place in his or her living space. If there is such a document, the first responders can, in good conscience, withhold treatment. In short, for the first responder—nurse, emergency medical technician, provider—the ethical thing to do is to treat and transport or involuntarily admit the patient for treatment. Although I’m not a lawyer, I strongly suspect that it’s better to face a judge for having saved a life rather than allow a person to die untreated for an easily treated condition. Hazelden Betty Ford Foundation. Involuntary commitment for substance use disorders: Considerations for policymakers: Emerging drug trends. 2017. Wirth S. Pro bono: Naloxone and the refusal conundrum. I am a Registered Nurse currently studying for my Baccalaureate in Nursing at the University of North Carolina at Wilmington. I am employed as the Clinical Manager with Carolina Vascular Access in Chapel Hill, North Carolina. In response to Curtin’s article entitled “The Opioid Crisis and the Matter of Consent.” American Nurse Today, June 2018, Vol. 13, No. 6, I am pleased to offer my response for consideration for publication. In my response I wish to show that, as a profession, we need to consider the bigger picture if we are to continue to treat opioid addicts who have expressed a wish not to be treated, or are continual abusers. I believe that this letter is appropriate for publication by American Nursing Today because it provides another view of the consequences nurses must face when treating habitual addicts. While I understand the author’s intent I would like to argue that this approach is detrimental to other patients we are responsible for treating. Nurses are required to act within the law but also expected to apply the principles of ethical standards. However, unless clearly defined, ethical standards can and do vary from one individual to another. We, as nurses, have a duty to care for all patients. To some people, it can not only be considered unethical to continuously treat patients who are abusing illicit or illegal drugs, but also a considerable waste of valuable time and resources. For example, last year an article from The Columbus Dispatch detailed how a city councilman in southwestern Ohio’s Middletown asked whether it’s possible for city emergency crews to stop responding to drug overdose calls as costs for those calls mount. Council member Picard said arresting people who overdose increases the burden on taxpayers and strains the court system. He suggested issuing a court summons to individuals who overdose and order them to do community service. He has said that Middletown was on pace to spend $100,000 on naloxone, while having budgeted only $10,000 for the year. In addition, according to an article in Shots Health News from NPR this year, the cost of the U.S. opioid epidemic since 2001 is $1 trillion and climbing. I would, therefore, like to request we all consider the bigger picture. Where does society draw the line? There must be a better way for everyone to get fair and balanced care under these circumstances. Are we to neglect other patients to treat addicts who are continually being a burden on the medical services and draining resources? How can we best help the addicts without depleting our resources? This letter has not been published and is not under consideration for publication elsewhere.